On this day in Georgia History, Button Gwinnett, one of the three signers of the Declaration of Independence from the State of Georgia, was appointed the second president of the Council of Safety. He succeeded Archibald Bulloch , great grandfather of James Stephen Bulloch (see my recent post on Bulloch Hall). Bulloch Hall is one of the three historic homes on "The Southern Trilogy: Historic Homes of Roswell" tour. 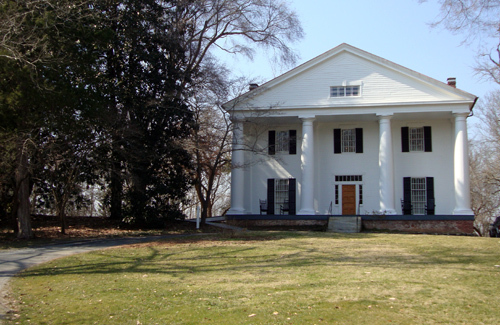 James Stephen Bulloch was one of six heads of household who settled Roswell, Georgia, in the 1830s.